Easter Cthulhu | Thinking is the enemy. I know. You’ve been wondering how tentacles figure into this blog, haven’t you? Me too. 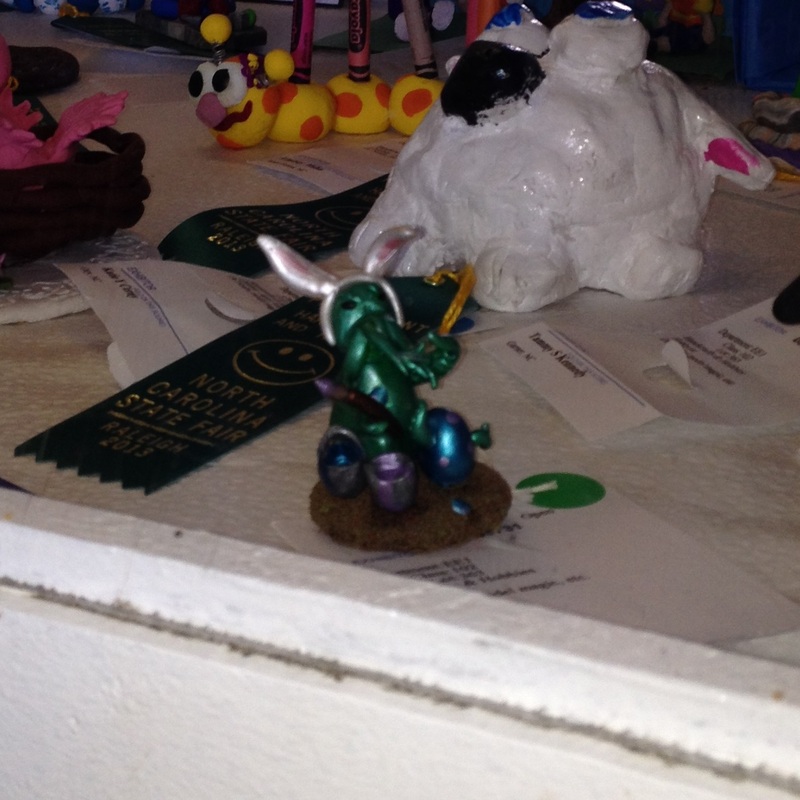 But then my lovely and talented spouse spotted this Easter bunny Cthulhu in the craft competition at the North Carolina State Fair. How awesome is that? There it was, right next to the ping-pong ball caterpillar, the ceramic dog (cat? walrus? ), and other hideous manifestations of ancient cults, the impossible geometries somehow unsettling, a reminder of something far older than we can possibly imagine. What I wanted to say is this: Somewhere in this conservative state, somebody had the artistic chutzpah to enter Easter Cthulhu in the state fair craft competition. And that is what creativity is all about. This entry was posted in Tentacles and tagged creativity, Cthulhu, Easter bunny. Bookmark the permalink.